As I was flipping through my planner at work today, I realized something crazy: Thanksgiving is next week! It feels like November just started, so it’s hard to believe we’re already on the verge of the holidays. I love this time of year because, while it’s hectic, there’s always some type of get together to look forward to. Many of our family gatherings over the next month are centered around a delicious spread of food. I lalways make a couple of old standbys (like grandma’s green bean casserole), along with a new recipe or two. Because I know oven space is especially precious on Thanksgiving, I’m always on the hunt for dishes that can be made ahead of time or cooked quickly on the stove. 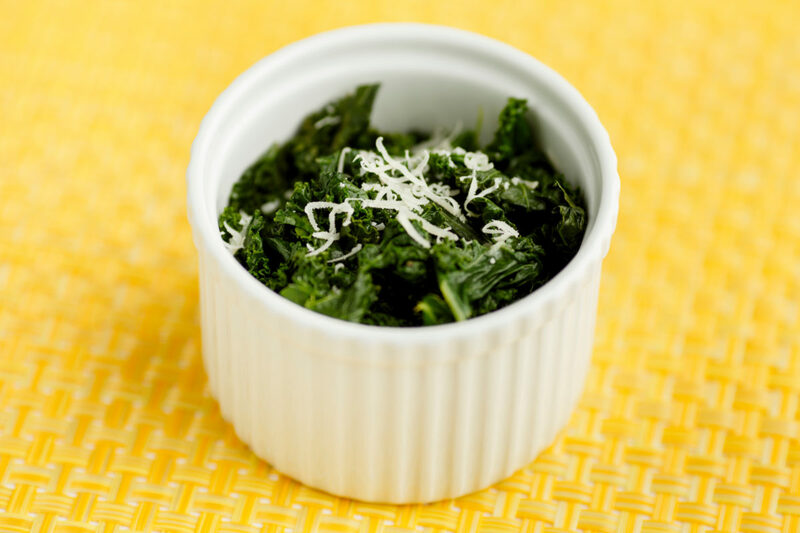 I love this cheesy garlic kale because it has delicious flavor but isn’t as heavy as some of the more traditional holiday vegetable side dishes. 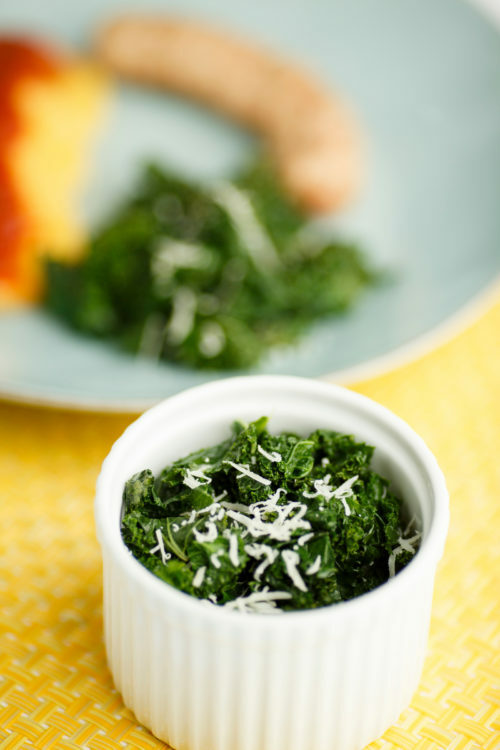 There are a few people in my family who turn their noses up at kale, but this recipe is husband approved. James isn’t a huge vegetable fan, but he actually went back for seconds when I served this with dinner last night! This is a great recipe to keep in your back pocket even after the holidays are over because of how quickly it comes together. 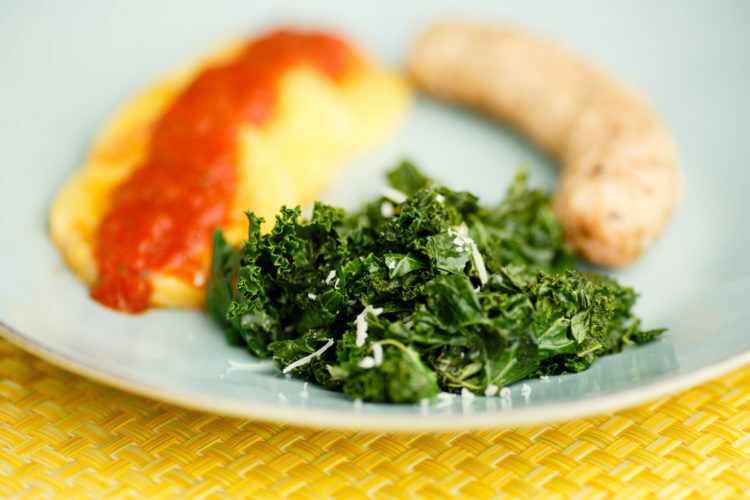 I recently paired it with chicken sausage and polenta and loved how it complemented the rest of the meal. Melt 1 Tbsp. butter in a large skillet over medium heat. Once butter is melted, add garlic and sauté until fragrant, about 30 seconds. Add kale to skillet and carefully pour water over top. Cook kale until bright green and soft and all the water is evaporated. Add remaining 1 Tbsp. butter, 2 Tbsp. cheese, salt and pepper to skillet and toss kale until evenly coated. Remove from heat and top with remaining parmesan.